Moving to a new home involves many changes in your family's routines and, for a teenager, disruptions in social relationships, school, and activities. The teen years are challenging enough on their own; a move adds additional stress to the natural coping mechanisms they possess. The keys to making a move as smooth as possible when teenagers are in the picture seem simple: Involvement and Education. However, it will take plenty of enthusiasm and encouragement on your part to ease the transition from one home to another. As soon as a decision has been made to move, whether across town or across the country, the whole family should be involved in the planning. If involvement is possible before the final decision, your teenager should be invited to assist in the process of lining up the pros and cons of a move. If not, there are other decisions in which you can involve your teen. A family meeting, where all concerned can express their feelings about the move is an excellent way to start the process. Talking about your own first move as a teenager (if you have one) is valuable, as is impressing upon the whole family their importance in helping to make the packing and settling-in go smoothly. Moving can seem overwhelming for a teen who is comfortable with his or her social group, after school activities, and teachers. The timing of a move, if in your control, should take into account the school year calendar as well as special events, like athletic meets and proms. Just the acknowledgement of a teen's importance in the overall plan will do wonders to ease the way. Involve your teen in the choice of a new home and neighborhood. Before beginning a search, ask your teen what he or she likes about your current place. Then, do some searching on your own; when you've pared the field down to a few choices, get some feedback from your children. If possible, drive over to the candidates. If not, the internet is a wonderful source to view each home and take a virtual tour. Your realtor can assist you in getting photos of the specific rooms that your teen might have as their own space. Involve your child in listing the three best features about each home – their perspective might surprise you. Your teen could focus on where the bedrooms are located, whether there is a family room or other private space for them, or if they will have their own bathroom in the new location. Once the home has been chosen, a celebration is in order! Make each step of the move special. When it comes time to pack, use the opportunity to pare down items that are no longer wanted. You can ask your teen to organize a moving sale, with each child able to choose the things they don't want to take along. The family can jointly decide what to do with the proceeds of the sale; perhaps everyone would like to buy a new flat-screen TV for the new home. Learn as much as you can about your new neighborhood and community. Enlist your teen in educating everyone in the family about the new schools, community organizations, sports opportunities, and interesting local history that exists in the area. If you will be traveling to the new locale, ask your teen to identify some sights to see on the way and to map out the best route. That will keep their interest up during the trip. When you arrive, be sure to visit some of the local sights, the schools, parks, hiking trails, and the malls. Quickly educating your teen in details about his or her new surroundings will up the comfort level and acceptance of the new home. Before you leave your former home, you can help your teen to say goodbye with a low-profile get-together, focusing on staying in contact after the move. Take photos of your teen with his or her friends, encourage the exchange of contact information, suggest weekend visits to the new place or to a midway point. Social media and texting will assist in this regard, too. Finally, when the move has been completed, make sure that your teen's room is one of the first to be “settled.” Let him or her decide how to set it up and to decorate it. Remember, walls can always be repainted! Ask him or her to help unpack and set up other rooms, too. Once the majority of the hard work is done, plan a special night in your new home with everyone's favorite foods, games and movies. You've all earned it. 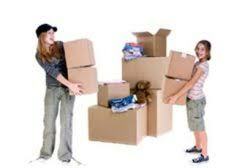 Do you have any further suggestions for moving with teens? Let us know with a comment below. We'd love to hear your suggestions!